Citation Information: JCI Insight. 2016;1(20):e87234. https://doi.org/10.1172/jci.insight.87234. Ectopic lymphoid tissues (ELT) can be found in multiple sclerosis (MS) and other organ-specific inflammatory conditions. Whether ELT in the meninges of central nervous system (CNS) autoimmune disease exhibit local germinal center (GC) activity remains unknown. In an experimental autoimmune encephalomyelitis model of CNS autoimmunity, we found activation-induced cytidine deaminase, a GC-defining enzyme, in meningeal ELT (mELT) densely populated by B and T cells. To determine GC activity in mELT, we excised meningeal lymphoid aggregates using laser capture microscopy and evaluated B cell repertoires in mELT and secondary lymphoid organs by next-generation immune repertoire sequencing. We found immunoglobulin heavy chain variable region sequences that were unique to mELT and had accumulated functionally relevant somatic mutations, together indicating localized antigen-driven affinity maturation. Our results suggest that B cells in mELT actively participate in CNS autoimmunity, which may be relevant to mELT in MS and ELT in other chronic inflammatory conditions. Citation Information: JCI Insight. 2016;1(20):e87446. https://doi.org/10.1172/jci.insight.87446. Pentraxin-2 (PTX-2), also known as serum amyloid P component (SAP/APCS), is a constitutive, antiinflammatory, innate immune plasma protein whose circulating level is decreased in chronic human fibrotic diseases. Here we show that recombinant human PTX-2 (rhPTX-2) retards progression of chronic kidney disease in Col4a3 mutant mice with Alport syndrome, reducing blood markers of kidney failure, enhancing lifespan by 20%, and improving histological signs of disease. Exogenously delivered rhPTX-2 was detected in macrophages but also in tubular epithelial cells, where it counteracted macrophage activation and was cytoprotective for the epithelium. Computational analysis of genes regulated by rhPTX-2 identified the transcriptional regulator c-Jun along with its activator protein–1 (AP-1) binding partners as a central target for the function of rhPTX-2. Accordingly, PTX-2 attenuates c-Jun and AP-1 activity, and reduces expression of AP-1–dependent inflammatory genes in both monocytes and epithelium. Our studies therefore identify rhPTX-2 as a potential therapy for chronic fibrotic disease of the kidney and an important inhibitor of pathological c-Jun signaling in this setting. Citation Information: JCI Insight. 2016;1(20):e88242. https://doi.org/10.1172/jci.insight.88242. The adaptive immune repertoire plays a critical role in type 1 diabetes (T1D) pathogenesis. However, efforts to characterize B cell and T cell receptor (TCR) profiles in T1D subjects have been largely limited to peripheral blood sampling and restricted to known antigens. To address this, we collected pancreatic draining lymph nodes (pLN), “irrelevant” nonpancreatic draining lymph nodes, peripheral blood mononuclear cells (PBMC), and splenocytes from T1D subjects (n = 18) and control donors (n = 9) as well as pancreatic islets from 1 T1D patient; from these tissues, we collected purified CD4+ conventional T cells (Tconv), CD4+ Treg, CD8+ T cells, and B cells. By conducting high-throughput immunosequencing of the TCR β chain (TRB) and B cell receptor (BCR) immunoglobulin heavy chain (IGH) on these samples, we sought to analyze the molecular signature of the lymphocyte populations within these tissues and of T1D. Ultimately, we observed a highly tissue-restricted CD4+ repertoire, while up to 24% of CD8+ clones were shared among tissues. We surveyed our data set for previously described proinsulin- and glutamic acid decarboxylase 65–reactive (GAD65-reactive) receptors, and interestingly, we observed a TRB with homology to a known GAD65-reactive TCR (clone GAD4.13) present in 7 T1D donors (38.9%), representing >25% of all productive TRB within Tconv isolated from the pLN of 1 T1D subject. These data demonstrate diverse receptor signatures at the nucleotide level and enriched autoreactive clones at the amino acid level, supporting the utility of coupling immunosequencing data with knowledge of characterized autoreactive receptors. Citation Information: JCI Insight. 2016;1(20):e88689. https://doi.org/10.1172/jci.insight.88689. Hepatic fibrosis arises from inflammation in the liver initiated by resident macrophage activation and massive leukocyte accumulation. Hepatic macrophages hold a central position in maintaining homeostasis in the liver and in the pathogenesis of acute and chronic liver injury linked to fibrogenesis. Interferon regulatory factor 5 (IRF5) has recently emerged as an important proinflammatory transcription factor involved in macrophage activation under acute and chronic inflammation. Here, we revealed that IRF5 is significantly induced in liver macrophages from human subjects developing liver fibrosis from nonalcoholic fatty liver disease or hepatitis C virus infection. Furthermore, IRF5 expression positively correlated with clinical markers of liver damage, such as plasma transaminase and bilirubin levels. Interestingly, mice lacking IRF5 in myeloid cells (MKO) were protected from hepatic fibrosis induced by metabolic or toxic stresses. Transcriptional reprogramming of macrophages lacking IRF5 was characterized by immunosuppressive and antiapoptotic properties. Consequently, IRF5 MKO mice respond to hepatocellular stress by promoting hepatocyte survival, leading to complete protection from hepatic fibrogenesis. Our findings reveal a regulatory network, governed by IRF5, that mediates hepatocyte death and liver fibrosis in mice and humans. Therefore, modulating IRF5 function may be an attractive approach to experimental therapeutics in fibroinflammatory liver disease. Citation Information: JCI Insight. 2016;1(20):e89173. https://doi.org/10.1172/jci.insight.89173. BACKGROUND. Chronic kidney disease (CKD) is strongly associated with cardiovascular disease and there is an established association between vasculopathy affecting the kidney and eye. Optical coherence tomography (OCT) is a novel, rapid method for high-definition imaging of the retina and choroid. Its use in patients at high cardiovascular disease risk remains unexplored. METHODS. We used the new SPECTRALIS OCT machine to examine retinal and retinal nerve fiber layer (RNFL) thickness, macular volume, and choroidal thickness in a prospective cross-sectional study in 150 subjects: 50 patients with hypertension (defined as a documented clinic BP greater than or equal to 140/90 mmHg (prior to starting any treatment) with no underlying cause identified); 50 with CKD (estimated glomerular filtration rate (eGFR) 8–125 ml/min/1.73 m2); and 50 matched healthy controls. We excluded those with diabetes. The same, masked ophthalmologist carried out each study. Plasma IL-6, TNF-α , asymmetric dimethylarginine (ADMA), and endothelin-1 (ET-1), as measures of inflammation and endothelial function, were also assessed. RESULTS. Retinal thickness, macular volume, and choroidal thickness were all reduced in CKD compared with hypertensive and healthy subjects (for retinal thickness and macular volume P < 0.0001 for CKD vs. healthy and for CKD vs. hypertensive subjects; for choroidal thickness P < 0.001 for CKD vs. healthy and for CKD vs. hypertensive subjects). RNFL thickness did not differ between groups. Interestingly, a thinner choroid was associated with a lower eGFR (r = 0.35, P <0.0001) and, in CKD, with proteinuria (r = –0.58, P < 0.001) as well as increased circulating C-reactive protein (r = –0.57, P = 0.0002), IL-6 (r = –0.40, P < 0.01), ADMA (r = –0.37, P = 0.02), and ET-1 (r = –0.44, P < 0.01). Finally, choroidal thinning was associated with renal histological inflammation and arterial stiffness. In a model of hypertension, choroidal thinning was seen only in the presence of renal injury. CONCLUSIONS. Chorioretinal thinning in CKD is associated with lower eGFR and greater proteinuria, but not BP. Larger studies, in more targeted groups of patients, are now needed to clarify whether these eye changes reflect the natural history of CKD. Similarly, the associations with arterial stiffness, inflammation, and endothelial dysfunction warrant further examination. TRIAL REGISTRATION. Registration number at www.clinicalTrials.gov: NCT02132741. SOURCE OF FUNDING. TR was supported by a bursary from the Erasmus Medical Centre, Rotterdam. JJMHvB was supported by a bursary from the Utrecht University. JRC is supported by a Rowling Scholarship. SB was supported by a Wellcome Trust funded clinical research fellowship from the Scottish Translational Medicine and Therapeutics Initiative, and by a Rowling Scholarship, at the time of this work. ND is supported by a British Heart Foundation Intermediate Clinical Research Fellowship (FS/13/30/29994). Citation Information: JCI Insight. 2016;1(20):e89384. https://doi.org/10.1172/jci.insight.89384. Psoriasis patients are at increased risk of heart attack and stroke and have elevated MRP8/14 levels that predict heart attack. The KC-Tie2 psoriasiform mouse model exhibits elevated MRP8/14 and is prothrombotic. Mrp14–/– mice, in contrast, are protected from thrombosis, but, surprisingly, KC-Tie2xMrp14–/– mice remain prothrombotic. Treating KC-Tie2xMrp14–/– mice with anti–IL-23p19 antibodies reversed the skin inflammation, improved thrombosis, and decreased IL-6. In comparison, IL-6 deletion from KC-Tie2 animals improved thrombosis despite sustained skin inflammation, suggesting that thrombosis improvements following IL-23 inhibition occur secondary to IL-6 decreases. Psoriasis patient skin has elevated IL-6 and IL-6 receptor is present in human coronary atheroma, supporting a link between skin and distant vessel disease in patient tissue. Together, these results identify a critical role for skin-derived IL-6 linking skin inflammation with thrombosis, and shows that in the absence of IL-6 the connection between skin inflammation and thrombosis comorbidities is severed. Citation Information: JCI Insight. 2016;1(20):e89679. https://doi.org/10.1172/jci.insight.89679. BACKGROUND. Orthotopic liver transplant (OLT) is the primary therapy for end-stage liver disease and acute liver failure. However, ischemia/reperfusion injury (IRI) can severely compromise allograft survival. To understand the evolution of immune responses underlying OLT-IRI, we evaluated longitudinal cytokine expression profiles from adult OLT recipients before transplant through 1 month after transplant. METHODS. We measured the expression of 38 cytokines, chemokines, and growth factors in preoperative and postoperative recipient circulating systemic blood (before transplant and 1 day, 1 week, and 1 month after transplant) and intraoperative portal blood (before and after reperfusion) of 53 OLT patients and analyzed this expression in relation to biopsy-proven IRI (n = 26 IRI+; 27 IRI–), clinical liver function tests early (days 1–7) after transplant, and expression of genes encoding cytokine receptors in biopsies of donor allograft taken before and after reperfusion. RESULTS. Bilirubin and arginine transaminase levels early after transplant correlated with IRI. Fourteen cytokines were significantly increased in the systemic and/or portal blood of IRI+ recipients that shifted from innate to adaptive-immune responses over time. Additionally, expression of cognate receptors for 10 of these cytokines was detected in donor organ biopsies by RNAseq. CONCLUSION. These results provide a mechanistic roadmap of the early immunological events both before and after IRI and suggest several candidates for patient stratification, monitoring, and treatment. FUNDING. Ruth L. Kirschstein National Research Service Award T32CA009120, Keck Foundation award 986722, and a Quantitative & Computational Biosciences Collaboratory Postdoctoral Fellowship. Citation Information: JCI Insight. 2016;1(20):e89805. https://doi.org/10.1172/jci.insight.89805. Muscle trauma is highly morbid due to intramuscular scarring, or fibrosis, and muscle atrophy. Studies have shown that bone morphogenetic proteins (BMPs) reduce muscle atrophy. However, increased BMP signaling at muscle injury sites causes heterotopic ossification, as seen in patients with fibrodysplasia ossificans progressiva (FOP), or patients with surgically placed BMP implants for bone healing. We use a genetic mouse model of hyperactive BMP signaling to show the development of intramuscular fibrosis surrounding areas of ectopic bone following muscle injury. Rapamycin, which we have previously shown to eliminate ectopic ossification in this model, also eliminates fibrosis without reducing osteogenic differentiation, suggesting clinical value for patients with FOP and with BMP implants. Finally, we use reporter mice to show that BMP signaling is positively associated with myofiber cross-sectional area. These findings underscore an approach in which 2 therapeutics (rapamycin and BMP ligand) can offset each other, leading to an improved outcome. Citation Information: JCI Insight. 2016;1(20):e90151. https://doi.org/10.1172/jci.insight.90151. The epigenome provides a substrate through which environmental exposures can exert their effects on gene expression and disease risk, but the relative importance of epigenetic variation on human disease onset and progression is poorly characterized. Asthma is a heterogeneous disease of the airways, for which both onset and clinical course result from interactions between host genotype and environmental exposures, yet little is known about the molecular mechanisms for these interactions. We assessed genome-wide DNA methylation using the Infinium Human Methylation 450K Bead Chip and characterized the transcriptome by RNA sequencing in primary airway epithelial cells from 74 asthmatic and 41 nonasthmatic adults. Asthma status was based on doctor’s diagnosis and current medication use. Genotyping was performed using various Illumina platforms. Our study revealed a regulatory locus on chromosome 17q12-21 associated with asthma risk and epigenetic signatures of specific asthma endotypes and molecular networks. Overall, these data support a central role for DNA methylation in lung cells, which promotes distinct molecular pathways of asthma pathogenesis and modulates the effects of genetic variation on disease risk and clinical heterogeneity. Citation Information: JCI Insight. 2016;1(20):e90220. https://doi.org/10.1172/jci.insight.90220. Noonan syndrome (NS) is a common autosomal dominant disorder that presents with short stature, craniofacial dysmorphism, and cardiac abnormalities. Activating mutations in the PTPN11 gene encoding for the Src homology 2 (SH2) domain-containing protein tyrosine phosphatase-2 (SHP2) causes approximately 50% of NS cases. In contrast, NS with multiple lentigines (NSML) is caused by mutations that inactivate SHP2, but it exhibits some overlapping abnormalities with NS. Protein zero-related (PZR) is a SHP2-binding protein that is hyper-tyrosyl phosphorylated in the hearts of mice from NS and NSML, suggesting that PZR and the tyrosine kinase that catalyzes its phosphorylation represent common targets for these diseases. We show that the tyrosine kinase inhibitor, dasatinib, at doses orders of magnitude lower than that used for its anticancer activities inhibited PZR tyrosyl phosphorylation in the hearts of NS mice. Low-dose dasatinib treatment of NS mice markedly improved cardiomyocyte contractility and functionality. Remarkably, a low dose of dasatinib reversed the expression levels of molecular markers of cardiomyopathy and reduced cardiac fibrosis in NS and NSML mice. These results suggest that PZR/SHP2 signaling is a common target of both NS and NSML and that low-dose dasatinib may represent a unifying therapy for the treatment of PTPN11-related cardiomyopathies. Citation Information: JCI Insight. 2016;1(20):e90301. 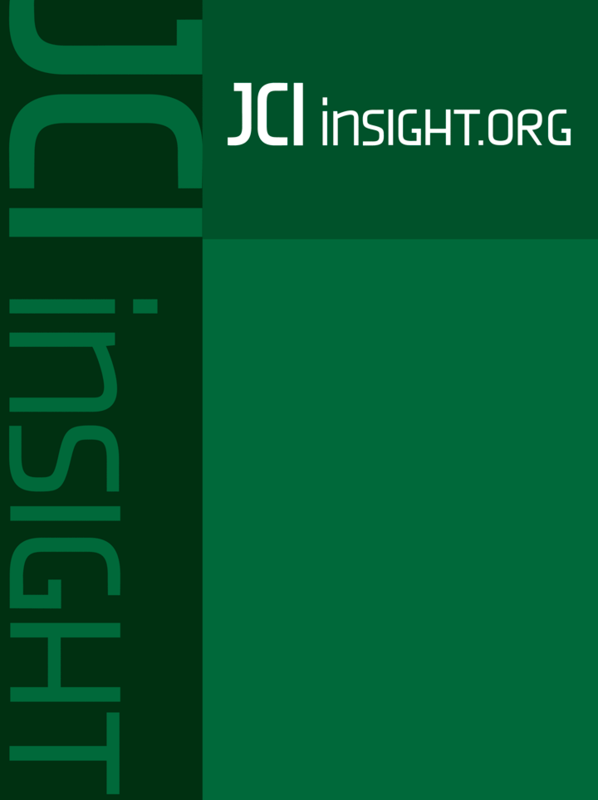 https://doi.org/10.1172/jci.insight.90301. Maladaptive epithelial repair from chronic injury is a common feature in fibrotic diseases, which in turn activates a pathogenic fibroblast response that produces excessive matrix deposition. Dysregulated microRNAs (miRs) can regulate expression of multiple genes and fundamentally alter cellular phenotypes during fibrosis. Although several miRs have been shown to be associated with lung fibrosis, the mechanisms by which miRs modulate epithelial behavior in lung fibrosis are lacking. Here, we identified miR-323a-3p to be downregulated in the epithelium of lungs with bronchiolitis obliterans syndrome (BOS) after lung transplantation, idiopathic pulmonary fibrosis (IPF), and murine bleomycin-induced fibrosis. Antagomirs for miR-323a-3p augment, and mimics suppress, murine lung fibrosis after bleomycin injury, indicating that this miR may govern profibrotic signals. We demonstrate that miR-323a-3p attenuates TGF-α and TGF-β signaling by directly targeting key adaptors in these important fibrogenic pathways. Moreover, miR-323a-3p lowers caspase-3 expression, thereby limiting programmed cell death from inducers of apoptosis and ER stress. Finally, we find that epithelial expression of miR-323a-3p modulates inhibitory crosstalk with fibroblasts. These studies demonstrate that miR-323a-3p has a central role in lung fibrosis that spans across murine and human disease, and downregulated expression by the lung epithelium releases inhibition of various profibrotic pathways to promote fibroproliferation. Citation Information: JCI Insight. 2016;1(20):e90954. https://doi.org/10.1172/jci.insight.90954. A barrier to drug development for nonalcoholic steatohepatitis (NASH) is the absence of translational preclinical human-relevant systems. An in vitro liver model was engineered to incorporate hepatic sinusoidal flow, transport, and lipotoxic stress risk factors (glucose, insulin, free fatty acids) with cocultured primary human hepatocytes, hepatic stellate cells (HSCs), and macrophages. Transcriptomic, lipidomic, and functional endpoints were evaluated and compared with clinical data from NASH patient biopsies. The lipotoxic milieu promoted hepatocyte lipid accumulation (4-fold increase, P < 0.01) and a lipidomics signature similar to NASH biopsies. Hepatocyte glucose output increased with decreased insulin sensitivity. These changes were accompanied by increased inflammatory analyte secretion (e.g., IL-6, IL-8, alanine aminotransferase). Fibrogenic activation markers increased with lipotoxic conditions, including secreted TGF-β (>5-fold increase, P < 0.05), extracellular matrix gene expression, and HSC activation. Significant pathway correlation existed between this in vitro model and human biopsies. Consistent with clinical trial data, 0.5 μM obeticholic acid in this model promoted a healthy lipidomic signature, reduced inflammatory and fibrotic secreted factors, but also increased ApoB secretion, suggesting a potential adverse effect on lipoprotein metabolism. Lipotoxic stress activates similar biological signatures observed in NASH patients in this system, which may be relevant for interrogating novel therapeutic approaches to treat NASH. Citation Information: JCI Insight. 2016;1(20):e90558. https://doi.org/10.1172/jci.insight.90558. Idiopathic pulmonary fibrosis (IPF) is a lethal interstitial lung disease characterized by airway remodeling, inflammation, alveolar destruction, and fibrosis. We utilized single-cell RNA sequencing (scRNA-seq) to identify epithelial cell types and associated biological processes involved in the pathogenesis of IPF. Transcriptomic analysis of normal human lung epithelial cells defined gene expression patterns associated with highly differentiated alveolar type 2 (AT2) cells, indicated by enrichment of RNAs critical for surfactant homeostasis. In contrast, scRNA-seq of IPF cells identified 3 distinct subsets of epithelial cell types with characteristics of conducting airway basal and goblet cells and an additional atypical transitional cell that contributes to pathological processes in IPF. Individual IPF cells frequently coexpressed alveolar type 1 (AT1), AT2, and conducting airway selective markers, demonstrating “indeterminate” states of differentiation not seen in normal lung development. Pathway analysis predicted aberrant activation of canonical signaling via TGF-β, HIPPO/YAP, P53, WNT, and AKT/PI3K. Immunofluorescence confocal microscopy identified the disruption of alveolar structure and loss of the normal proximal-peripheral differentiation of pulmonary epithelial cells. scRNA-seq analyses identified loss of normal epithelial cell identities and unique contributions of epithelial cells to the pathogenesis of IPF. The present study provides a rich data source to further explore lung health and disease.